This is knob angle sensor module based on 10K ohm trimmer potentiometer, and it outputs the analog voltage value of 0 ~ VCC. The output will vary linearly with the rotation angle. It is suitable for 3.3V and 5V SCM system, and it is compatible with the Arduino board. Especially suitable for volume control, lighting regulator, and other DIY projects. 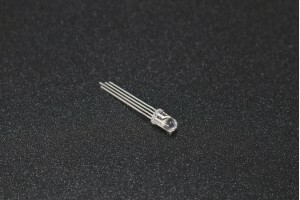 Standard ‘Watch’ or Real-Time-Clock crystal. 32.768 kHz means it is precisely half of a 16-bit cou.. The TFT screen is 1.77" diagonal, with 160 x 128-pixel resolution. You can draw text, images, and sh..